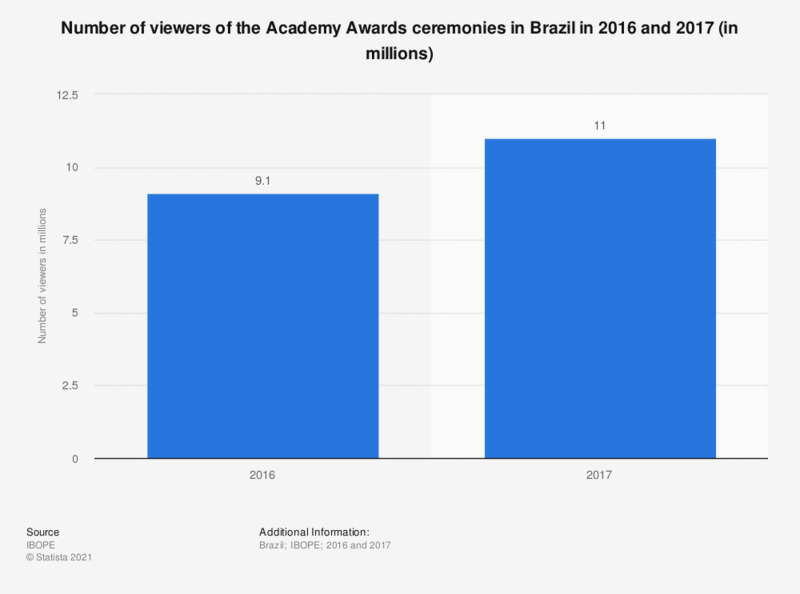 The statistic presents the number of viewers of the Academy Awards ceremonies in Brazil in 2016 and 2017. According to the source, 9.1 million Brazilians watched the ceremony in 2016. Figure for 2016 comes from an earlier article.